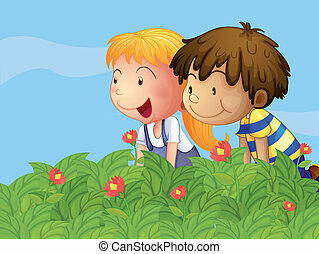 A boy and a girl hiding in the garden. 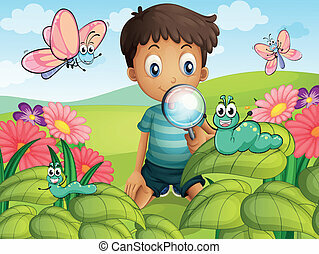 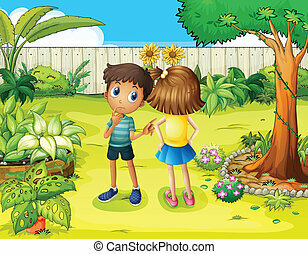 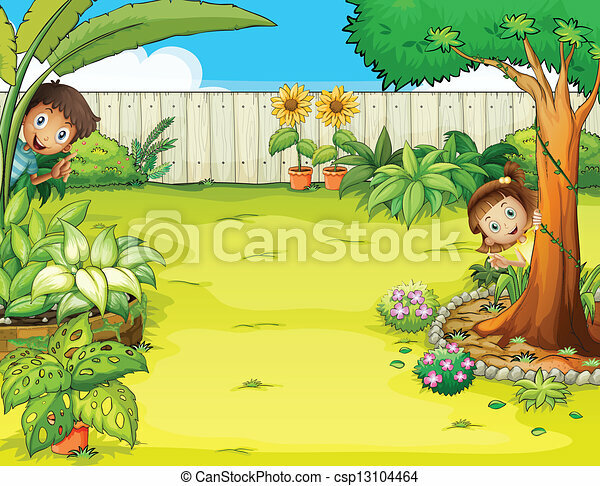 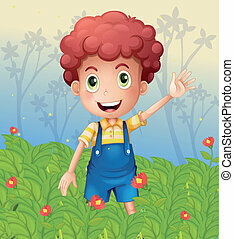 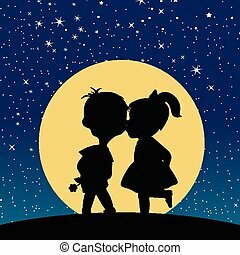 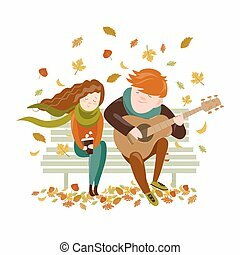 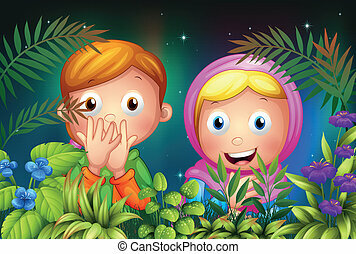 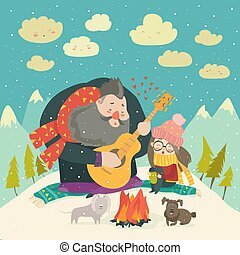 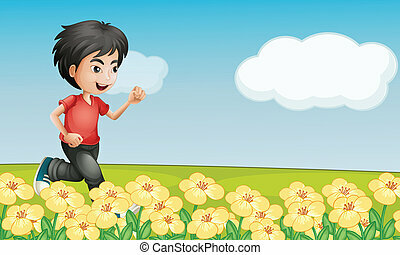 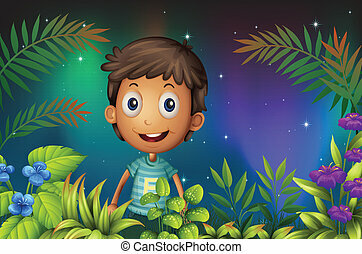 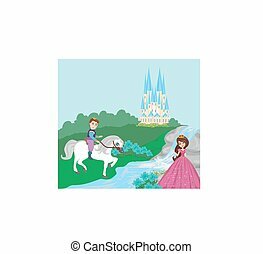 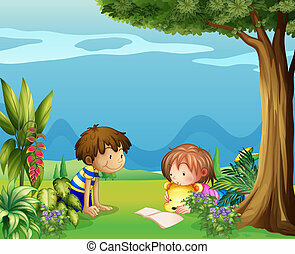 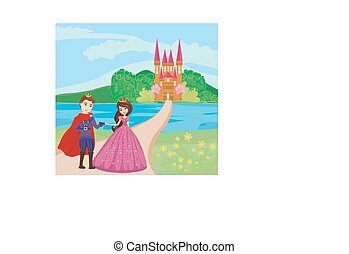 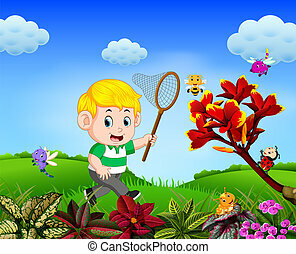 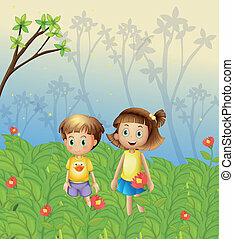 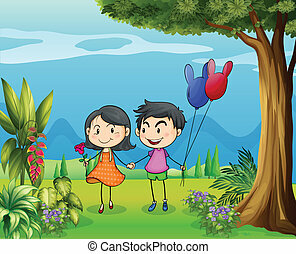 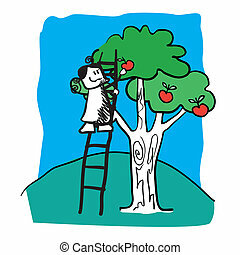 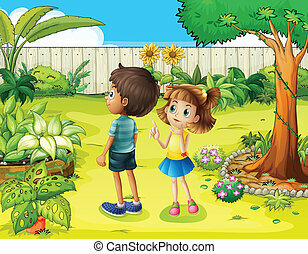 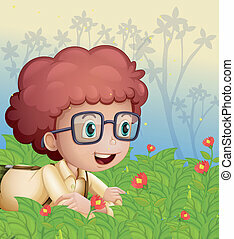 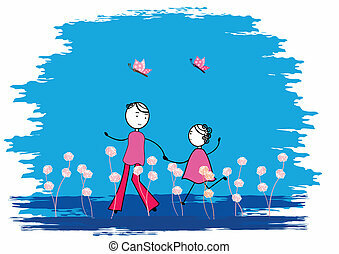 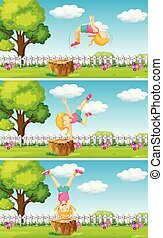 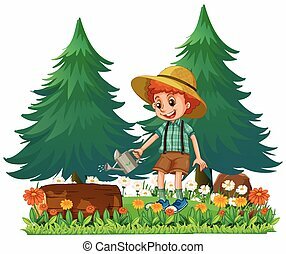 Illustration of a boy and a girl hiding in the garden. 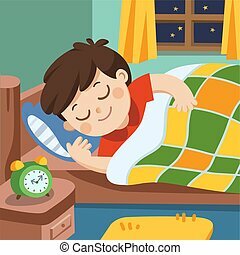 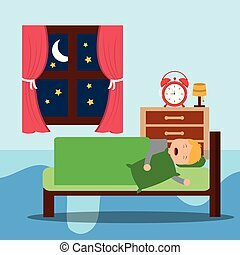 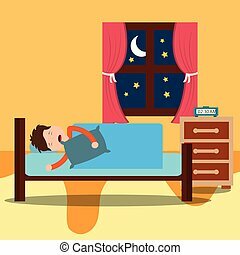 A Little boy sleeps in the night.